The beaded necklace has silver leaf jasper and roune line pattern agate beads. It is about 21" long. 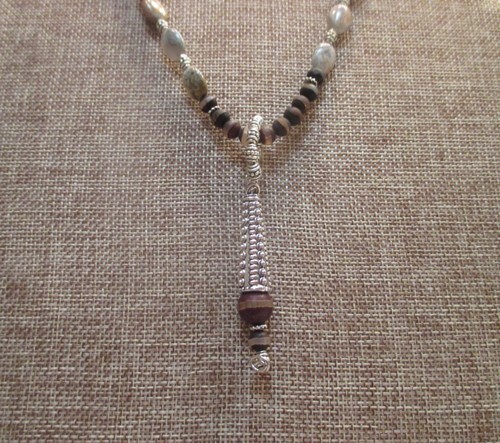 A long beaded cone shaped bead design with an agate roune line bead makes up the pendant . It is about 3" long. The bail is made of the same beads as in the necklace.